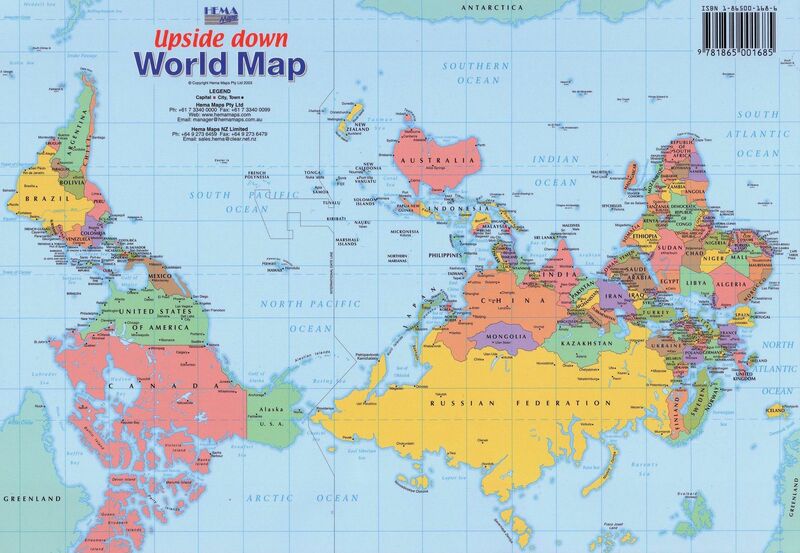 Upside-down world map. Notice how the projection still makes countries like Greenland, Russia and Canada much bigger than they really are (Africa is in fact many times larger than Greenland). 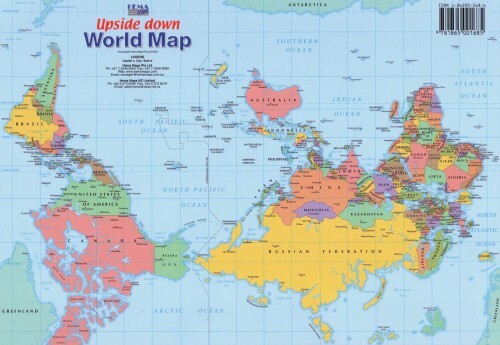 Cartographers for Social Equality wouldn't be happy about this. I’m not happy with the world. I should be more specific – the world is great, but I’m not happy about the way humans conduct themselves while they are on it. It’s no secret that I have a strong belief that if we carry on doing what we do, and treating the world the way we have, then we’re not going to be around for too much longer. Our existence simply isn’t sustainable. Moreover, it is unsustainable on many different levels. One of the biggest problems I have with conservatives, and I may write more about this in a later article, is that if you had to boil conservatism down to its most fundamental principle, a principle that spans as broad a base of conservatism as you can hope to encompass, then it is this – trust in the old ways, for they served us in the past and will continue to do so in the future. The hidden implication here is that new ways should be viewed very cautiously and resisted on principle. Of course, to continue on the line of hidden implications, it also implies that the past is always a good blueprint for dealing with the future, and also that “keeping things the way they are” is necessarily a desirable thing. Both are questionable. In this post however, I do not wish to talk about politics. To begin, a (criminally) brief overview of the whole-earth equation. We grow food, we eat it. Eating gives us energy so we can grow more food. If we have extra energy or food, we can do something with it. So basically anything we do that isn’t linked to either the growing of food, or the generation of energy must be “paid for” by the surplus of our production. Energy complicates things slightly because solar, geothermal, and gravity (the moon’s – tidal) are the only sources of energy that really exist. Things like coal and oil are merely “batteries” that have been charged over millions of years and happen to be very dense energy-wise which makes them useful. This is why electricity is so useful – it allows us to easily convert energy from one form to another with minimal waste. Throwing more energy at a problem is usually a pretty good way to solve it, which is how we manage to feed the population of the world on the amount of land that we have – through the use of chemical fertilizers and industrialized farming methods, we basically pump more and more energy into the ground, and in return, it gives us more food. In fact, the energy contained in food these days is often exceeded by the energy that is required to manufacture it. How is this possible? It is because we are quickly depleting the fossil fuel “batteries” that I was talking about earlier. The obvious conclusion from this is that we’re going to run out of batteries and be forced back to an energy budget that is dictated by how efficiently we can harness the renewable energy sources available to us. At the moment, my feeling (and I’m sure there have been studies done on this) is that we wouldn’t be able to cope. Firstly, too many everyday things still require fossil fuels and are not able to substitute anything else (most cars, ships, and all airplanes). Secondly, even if we were to forget about that and assume that everything can be recharged at a power point, I’d bet a lot of money that we still consume far more energy than we can currently extract from renewable sources. Obviously, the smart thing to do would be to dedicate as many resources as possible towards increasing the efficiency of renewables to meet our growing energy demands as well as coming up with solutions for all those situations for which fossil fuels have no easy substitute. Small inroads have been made in the form of electric cars and more energy-efficient appliances, but I’m almost sure that the rate at which our renewable energy capacity is increasing is being outstripped by the rate at which our energy consumption is growing. As if that alone doesn’t present an almost insurmountable challenge to the current generation, we have the additional problem of climate change. It turns out, that in burning these wonderfully convenient fossil fuels, we release large amounts of carbon dioxide into the atmosphere, which in turn disrupts the greenhouse effect and makes the planet hotter overall. Of course, carbon dioxide only makes up 385 parts per million of the atmosphere, but the unprecedented growth of the human footprint on this planet in not only burning fossil fuels, but also deforestation (forests are a significant carbon sink) has meant that that number has increased by over 20% since the industrial revolution began. The reasons why this is bad are covered in detail in The Earth Debate series elsewhere on this website, but suffice to say that the future isn’t looking very bright at the moment. So with this in mind, I have compiled a short list of a few small things that I would like to fix which I believe will make a significant impact on ensuring that future generations can enjoy this wonderful planet that I grew up on. The observant among you will have noticed that the title of this website is “Daniel Yeow and the Quest for World Peace”. I believe that this is still a worthy and significant goal. Perhaps surprising in my analysis of the current state of the planet is that I believe strongly that this is achievable in our lifetimes. Mankind has been at war with itself for as long as people have been capable of killing each other. Strangely enough, one of the periods of time during which we were most optimistic about achieving a lasting world peace was just prior to the first world war, when it was believed that the extent of international trade and globalization meant that warfare no longer made any sense because all parties had so much to lose due to their interconnectedness. Of course, we all know what happened next. After World War I, the alliance was so vengeful that they subjected Germany to reparations so burdensome that the treaty sealing the end of the first world war effectively guaranteed the second. Out of the second world war emerged the United Nations along with the Bretton Woods institutions. However, since the end of WWII, the number of armed conflicts both between as well as within states has decreased dramatically. There are certainly still areas of tension – North and South Korea, Russia and Georgia, Israel and Palestine to name a few. So what makes me think that war is on the way out? Photographs. Think about the two world wars for a while, pay special attention to the images that come into your head. Just about every image from those wars that was contemporary with the time period wasn’t seen by anyone until quite long after the still or motion picture was published. Moreover, in a technical sense, it was so difficult to get those images and publish them that it was relatively easy for states to control the flow of information. 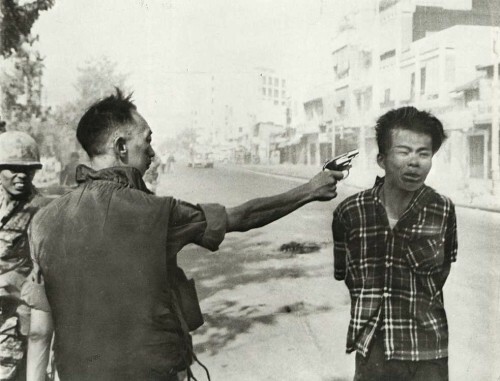 In the Vietnam war this changed significantly, and images from the conflict, despite the government’s best efforts, turned the tide of public opinion against the war. Journalistic standards are pretty bad these days, but Keith Rupert Murdoch is 79 years old and even he cannot live forever. The progress of film making technology is such that making documentaries has become easier and cheaper than ever before thereby leveling the playing field, previously dominated only by those who had the backing of the state, or large corporations. One only needs to look at the world of climate change documentaries to sense this leveling effect. Two significant climate change denial documentaries have been made – The Great Global Warming Swindle, and Not Evil Just Wrong. Both were backed by money from conservative, libertarian think tanks or big oil, and despite claims to the contrary, are blatant mouthpieces for those special interest groups. Despite these, and the many baseless attacks made, An Inconvenient Truth still stands above those, as do documentaries made on much lower budgets like The Age of Stupid, and less-directly-aimed documentaries like those produced by the Yes Men. As information flows more freely and easily (think about Wikileaks) more and more of the general population will be exposed to what war is really like. They will not be insulated from it any more, and this will make it more and more difficult for elected officials to get away with waging war. Many people claim to support the war, while others still confuse supporting the troops with supporting the war, but a fundamental fact remains, and that is that people generally don’t like killing each other. The video “Collateral Murder” released by Wikileaks earlier this year caused such a furore because it showed something that nobody wanted to see – innocent people being killed. It happens in a war, and most people can accept that, but they don’t like it. As an aside, more of the world’s GDP (GWP?) is spent fighting wars than on anything else. If we could finally end this childish and brutal practice, then we would finally be able to divert a very significant amount of our productivity to solving these pressing problems of preserving our civilization. 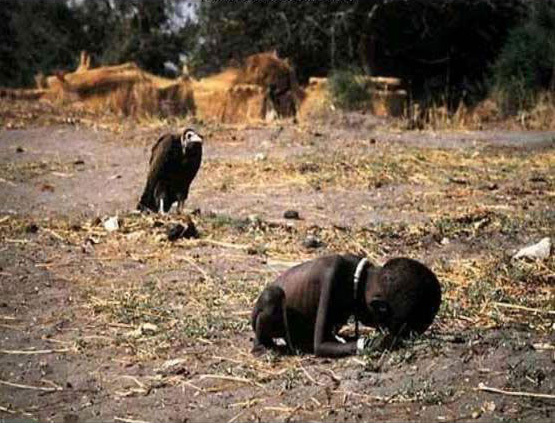 Kevin Carter's famous Pulitzer-winning photograph. Carter committed suicide not long after this was taken due to depression. I became concerned with poverty after reading Jeffrey Sachs’ book “The End of Poverty”. So concerned that I ended up at Columbia University sleeping 4-5 hours a night completing a masters degree in the hope that I would learn one or two things which would help me achieve this goal. The reason this problem shot right up my priority list was because I realized that if we were to solve this problem, it would go a very long way to solving a lot of the other problems of the world. Starting at the top of the list, ending poverty would go further towards achieving world peace than ending the small arms trade would. The “poverty line” in many countries is arbitrarily determined by a number. Even the UN has figures on poverty defined by the number of people who live on less than $1 a day, or $2 a day. Thinking about that for a second, that really isn’t enough to live. True enough, millions of people die in the world every year simply because they are too poor to stay alive. That’s a pretty sobering thought – to imagine that there are people in the world who die because they can’t afford to stay alive, when we hear about people complaining because they can’t afford a new car/iphone/jacket. The implications for that kind of poverty are pretty obvious – if you are given the choice between dying because you’re too poor to stay alive, or killing someone else for the chance to live a little longer, then it might not surprise you that that is exactly what a lot of people do. It doesn’t take a great deal of imagination to extend this concept to large, organized groups doing it. A lot of idiots from all colours of the political spectrum like to lay the blame on Islamic fundamentalists. While it is certainly true that religious extremists are often the ones who perpetrate crimes of terror, I strongly feel that the reason that the extremists become so extreme has more to do with poverty than with religion. It is a fun hobby of people like Geert Wilders to quote verses from the Koran and label them as inherently violent. Of course, even a cursory glance through world history will show that all religions have experience periods of extremism and committed atrocities in the name of whatever deity they happen to follow. Indeed, one of the most peaceful religions in the world today – Buddhism, is widely believed to be responsible for the invention of martial arts because soldiers would often plunder temples when regional warlords exchanged pleasantries, and the monks got sick of being defenceless and invented self-defence. What I’m basically trying to say is that if you’ve got a roof over your head, and enough food to eat, you’re very unlikely to want to go out and kill someone. Everyone’s after the same contract – work hard, and be given the means to provide for oneself and one’s family. If that contract cannot be provided, or is broken, then people will feel their lives threatened, and will likely take the matter into their own hands. The other advantages of ending poverty are numerous. Food security for a family results in less children because the probability of a child surviving into adulthood is greater. The further out of poverty a people can be, the more likely they are to invest in themselves, in the form of infrastructure, and education, which further improves their quality of life and productivity, which in turn increases their ability to dig themselves out of poverty… and so the spiral continues. The book “Guns, Germs, and Steel” by Jared Diamond, (which is essential reading for anyone who wants to save the world btw) gives some good answers to the question of why some people in some parts of the world became wealthy while other parts of the world have remained in poverty. Simply put, the land that you happen to grow up on has a certain carrying capacity which depends on many factors such as rainfall, soil quality, accessibility of clean water, to name a few. The higher this number, the more likely and the more complex a civilization is likely to develop. In truth, the development of complex societies around the world was varied and sporadic until quite recently, and reason for this is that the world has become more interconnected. This connectivity has allowed us to spread the inherent risks of depending on a small plot of land for all your food. This way, if a large area were to suddenly have a few years of drought, the society there doesn’t die off completely, but instead is supported by an ally with the understanding that when the situation is switched, they would do the same. It’s about time we extended this protection to the poorest parts of the world. With the coming unpredictability of climate change, it is not outside the realm of possibility that someday the most impoverished countries in Africa might become the world’s breadbaskets. Equipping them with the infrastructure and knowledge to help themselves benefits both them and us. In truth though, we shouldn’t do this simply because it makes us a little bit better off in the economic equation, or that it increases the overall utility in some whole-earth equation. We should do this because it is the right thing to do. 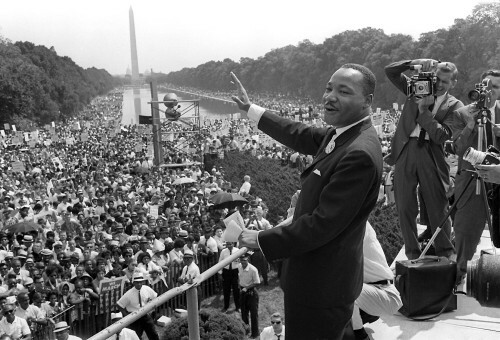 Dr Martin Luther King Jr once said “Injustice anywhere is a threat to justice everywhere”. Justice is a funny concept, and one that deserves a lot of thought. Far more thought than this article can realistically contain without going too far off-topic. A common thread in all historically successful civilizations is a strong sense of the rule of law. Hammurabi’s code of laws, one of the earliest examples of codified legal and economic systems has such laws as “If a man strikes a pregnant woman, thereby causing her to miscarry and die, the assailant’s daughter shall be put to death.” Most of Hammurabi’s laws end with the accused being put to death, and one would hope that we have developed a more humane way of dealing with injustice in this day and age. Most, but certainly not all countries have laws which work fairly well. The major advantage of having laws, even if some of them are silly or make no sense, is that it makes things more predictable, and when things are more predictable, then things are easier to plan, and when things are easier to plan, then more can get done. A mature justice system, in particular if it is enforced well, is a pretty sure-fire way to prevent civil conflict. I find that in general, codes of laws and the legal systems of individual countries are far more well-developed and “just” than the loose sense of international law that exists between countries which still resembles playground politics than anything else. For example, in the middle east (and I’m sure I’m going to cop some criticism for this) you could write entire libraries on why there is always conflict in the area, but what it boils down to is “your brother killed my father, but he’s dead now, so I’m going to kill you”. Many argue that we should not interfere with the affairs of others, but I think this is a hopelessly naive way of looking at the world. It implies that the actions of people in one country have no effect on those in another, which is demonstratably untrue. As our footprint on the world grows ever larger, we need more than ever to learn how to live together and get along. One of the greatest challenges of international justice is that it is trying to exist in a system of anarchic states with no higher authority to appeal to. It is then left to us to be good neighbours to each other and we’re doing a pretty poor job. As W.H. Auden once said in the concluding lines of a poem on the eve of World War II, “we must love one another, or die”. So there you go, three little problems that I would like to solve. I’m not too sure how I’m going to go about doing any of these things, but getting a job at a bank isn’t really on the cards (sorry dad). In solving these three, hopefully we’ll be some of the way towards ensuring that a somewhat habitable world will be available to future generations, and the same opportunities that have been available to me in my sheltered, privileged life will be available to everyone. Yeah, I’m a dreamer, but I reckon if everyone in the world dreamed as I did, then it wouldn’t be a dream. I dare you all to imagine a better world. 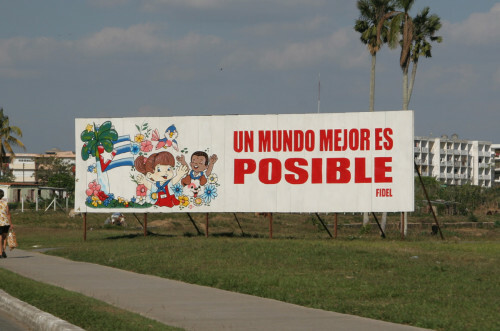 One of many signs dotted all over Cuba proclaiming the "A Better World is Possible"
As a middle-eastern, I feel obligated to dish out some of the criticism you expected to cop over the alleged “you killed my father”* mentality. I’m pretty sure that most of the conflicts in the area revolve around land rather than vengeance. Palestinians, Syrians and Lebenese are hell-bent on “reclaiming territories occupied by Isreal”, while Israel is almost equally hell-bent on holding on to them. The middle-east may still be a good example of international playground politics, rather resembling two grade-schoolers fighting viciously over a favorite toy, whilst a teacher (the US? UN?) continuously implores them to “share, and play nice!”. Either way, I’m quiet sure that addressing the issues you brought up earlier in the article would make quick work of solving the conflict, regardless of any territorial claims. As you pointed out – poverty stricken slum-dwellers are much more likely to pick a fight with the inhabitants of nearby luxury villas, than villa-dwellers are likely to pick a fight with each other. Eliminate poverty, and the end of war and injustice will come naturally. Anyhow, regardless of my deeply offended middle-eastern sensitivities, this made an interesting read. Although I doubt either of us will witness the end of war, poverty and injustice, I’m sure you’ll make at least a PHD-sized** dent in the problem – best of luck! *Ironically, I’m currently wearing a t-shirt that reads “My name is Inigo Montoya, you killed my father, prepare to die!” in Yiddish. ***Oh my god, does my comment really have footnotes?! The human being is a virus.